Adult male Red-tailed Hawk arriving with a dead chipmunk to feed his newly hatched nestlings. 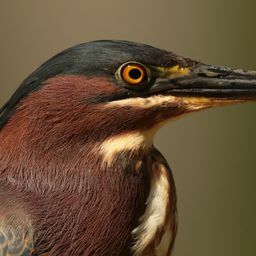 During the nesting phase the male is the primary provider. Although both hawks share duty on the nest. 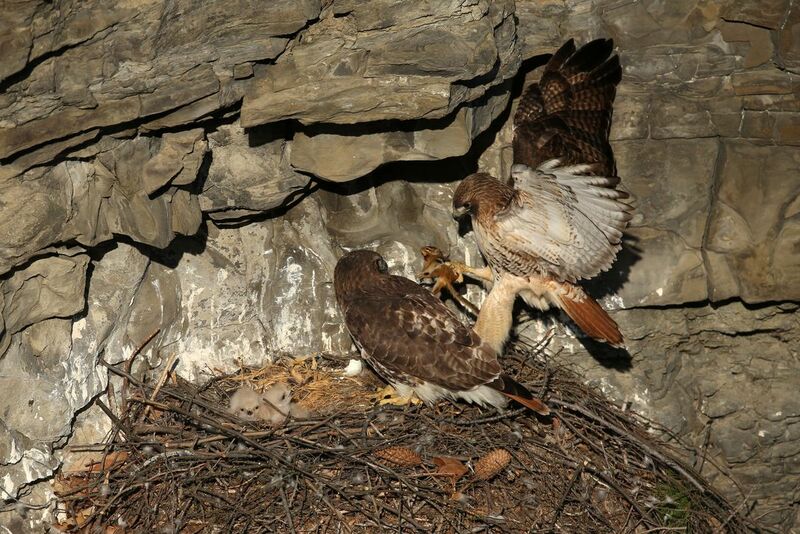 In Ithaca, New York we are very privileged to have a family of Red-tails nesting on a cliff within safe range for viewing without disturbing the family. In the eastern US, Red-tailed Hawks are more likely to nest in trees.